Strength of Heart and the Courage to be Bold! Lionheart Theatre Company is a place to imagine. It’s a place where creativity, spontaneity and laughter are encouraged, where memories and friendships are built to last a lifetime. 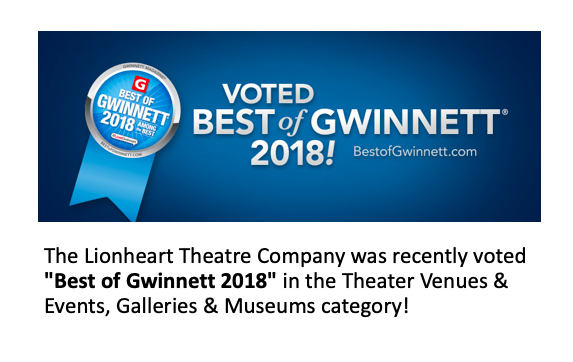 Since 2000, the artists, directors and volunteers at Lionheart have worked to bring theatre and the arts to one of Metro Atlanta’s finest communities, Norcross. 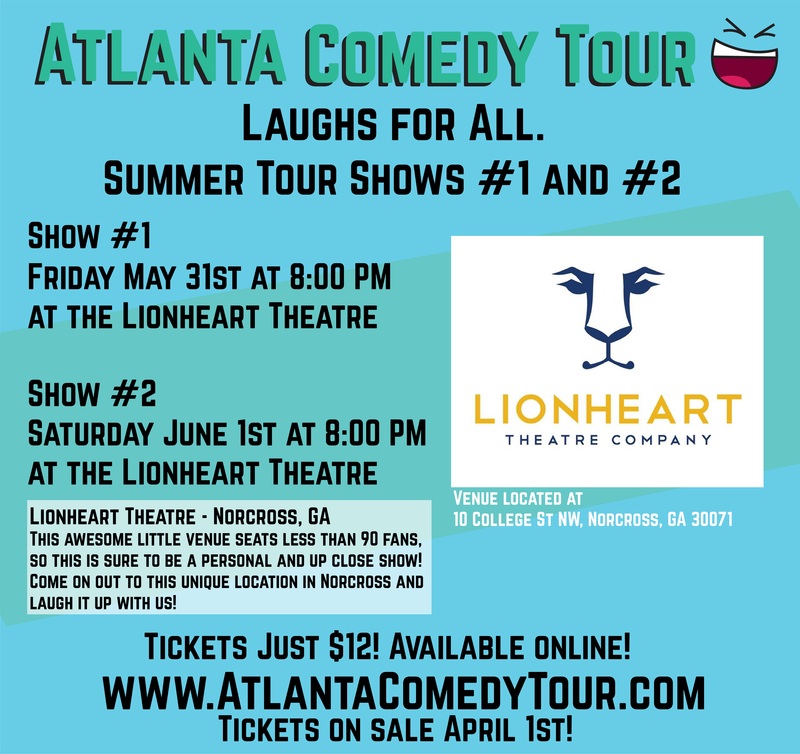 Lionheart operates as a non-profit, non-equity theatre, producing affordable, unforgettable entertainment to audiences of all ages. 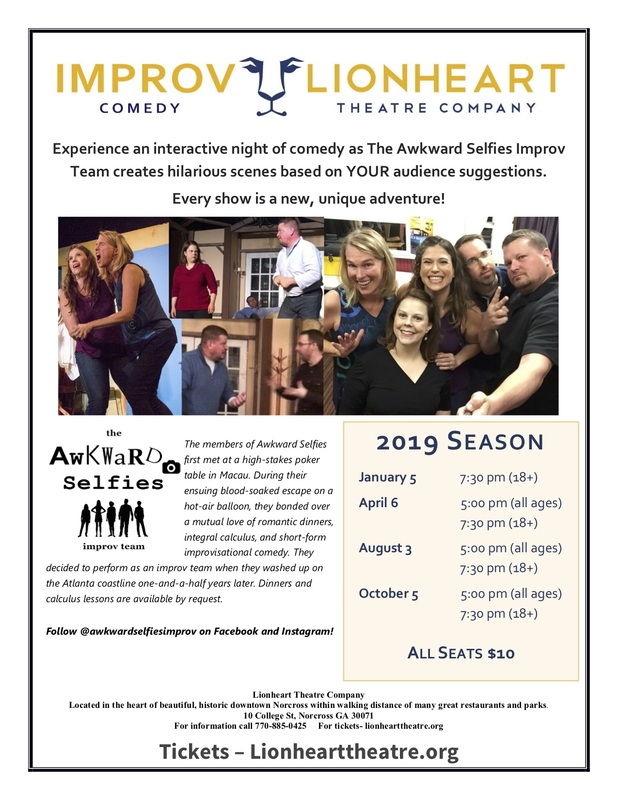 Expect to be swept up in passionate classic dramas, to sing along to favorite Broadway musicals or to laugh nonstop during an original comic romp. When you leave Lionheart, you’ll leave with a new story to tell. 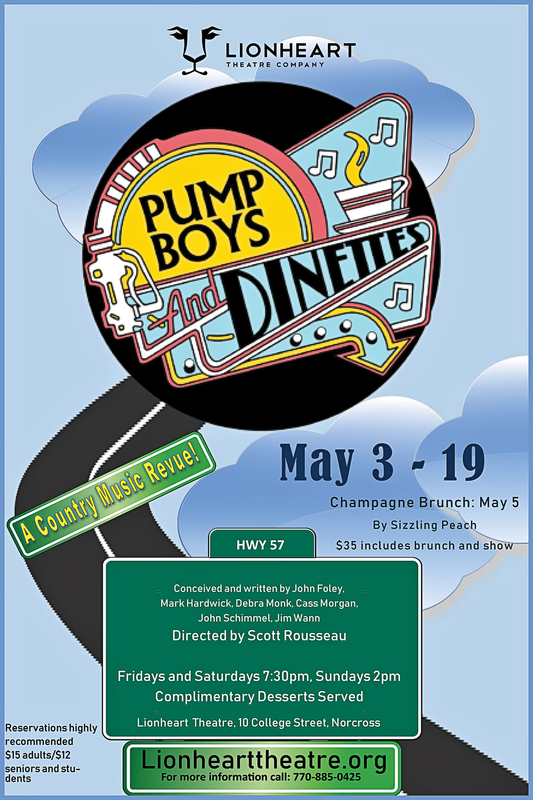 Buy tickets for the current or upcoming shows here! Get information here about flex passes and why you should get one for this season! Join Lionheart's monthly newsletter to stay up to date with our current productions and events.